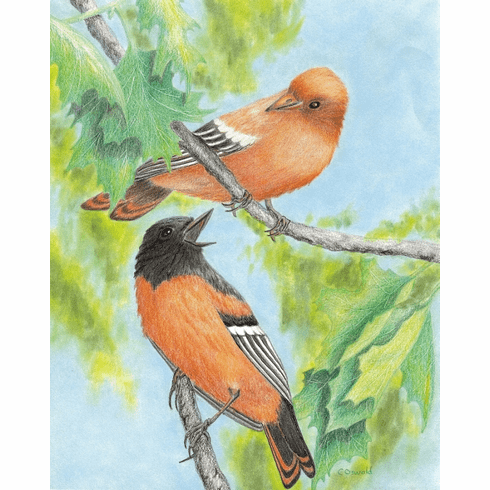 "Orioles" is an original colored pencil drawing by the nature artist Cristolin. The cheerful, bright colors and playful Baltimore orioles make this perfect anywhere you want a splash of color and cheer. This would make a lovely gift for your favorite bird-lover, alone or in combination with other bird prints by Cristolin. The series would look lovely in an office, family room, or in the room of a young child.